We have no method of evaluating the quality, accuracy, and safety of the following web sites. Use them with care. Nothing contained on this website should be construed nor is intended to be used for legal advice, or medical advice, diagnosis or treatment. Comment about addiction in general by "Brandie The Barber Bauer:"
The Delphi Health Group has an online "Guide to Low Cost or Free Drug Rehab Options." Carla Vista has 4 homes in Arizona, 2 in Colorado, and single homes in Nebraska, Nevada, Missouri and Texas. They ask their residents to commit to 90 days of living in their drug-free environment. Most stay for six to nine months. The group links residents with jobs, counselling, and treatment. During their stay, they change. They become "... filled with gratitude and a new peace of mind. They’d become part of a family that learns, laughs and grows together in sobriety." Drug Rehab Connections is an informational website that connects addicts and their families with the help they need to put their lives together. 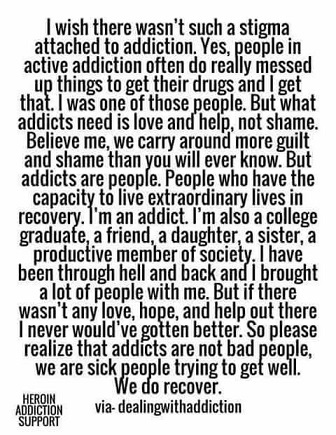 Their goal is to help these individuals and loved ones by providing them with information and support on different addictions and recovery resources available to them. "Addiction And Infidelity: Understanding And Finding Ways To Heal After An Addicted Partner Is Unfaithful" by Swift River in Massachusetts. Swift River at Cummington, MA. Elite Rehab Placement Matches Clients with Alcohol and Drug Addiction Rehabs. The Recovery Village offers personalized addiction treatment in their facility in Umatilla, FL. They provide: "... comprehensive treatment for dual diagnosis based drug and alcohol rehab, eating disorder and mental health treatments tailored to the patient’s specific needs. [Their] ... fully trained staff will guide patients and family to the goal of complete rehabilitation. The Treehouse is a private therapeutic retreat for rehabilitation from alcohol and drugs. It is located on "40 serene acres near Dallas TX." They have a support hotline that is open 24 hours a day at 1-866-840-6487. Their 24/7 Helpline is at 1-800-272-3900. Greenwood Homecare has a report titled "Activities for people with Dementia and Alzheimers." It discusses activities that care provider can do together with a patient to improve their life. Is It Old Age, or ADHD? Bereavement: Unconventional Grief: Grieving Someone Alive at The American Academy of Bereavement. Burn Support Groups Database provides links to worldwide burn support groups, burn camps, etc. See: http://www.burnsupportgroupsdatabase.com/ As of 2017-AUG, this web site appears to exist but is inaccessible. Consumer Dangers: Across the world, death and serious injuries occur from Consumer Products all too often. The web site http://www.consumerdangers.com/ "... is dedicated to helping raise awareness of these products that we hope will decrease the amount of these tragedies. Education is the key to consumer protection, and we hope to be the best resource available." They cover a wide range of dangers, including air bags, E. Coli contamination, shopping scams. poisoning, child safety, etc.